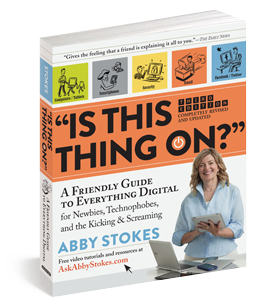 “Is This Thing On?” is a smart, comprehensive, reassuring, and jargon-free guide – the epitome of user-friendly. The newly revised and updated edition follows in the footsteps of the 290,000 copies in print from previous editions and helps you keep pace with the fast-changing digital landscape, covering tablets, apps, and storing on the cloud. You’ll also learn how to choose, buy, and start using the computer, tablet, or smartphone that’s just right for you ; how to connect to the Internet both when at home and on the road, sign up for email, and best use search engines, and get started with essential skills like word processing, file management, and text messaging. 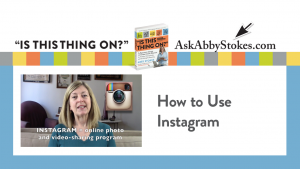 Discover how to take and share digital photographs and videos. Find online communities and participate in social media like Facebook, Instagram, Pinterest, Twitter, YouTube, and blogs. Explore the world of online music, streaming movies, and ebooks. 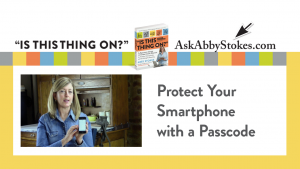 And, most importantly, passwords and online security— including what to do when things go wrong. 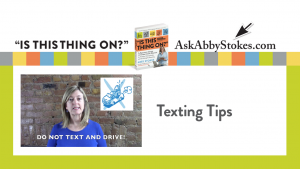 Appendices include keyboard shortcuts, over 200 recommended websites and 100 hand-picked free mobile apps; FAQs at the end of each chapter and tips and tricks throughout. And with the help of this companion website, AskAbbyStokes.com, tutorials come to life in videos with printable instructions and helpful guides. For discounts on bulk purchases of 10 or more copies, contact specialmarkets@workman.com.